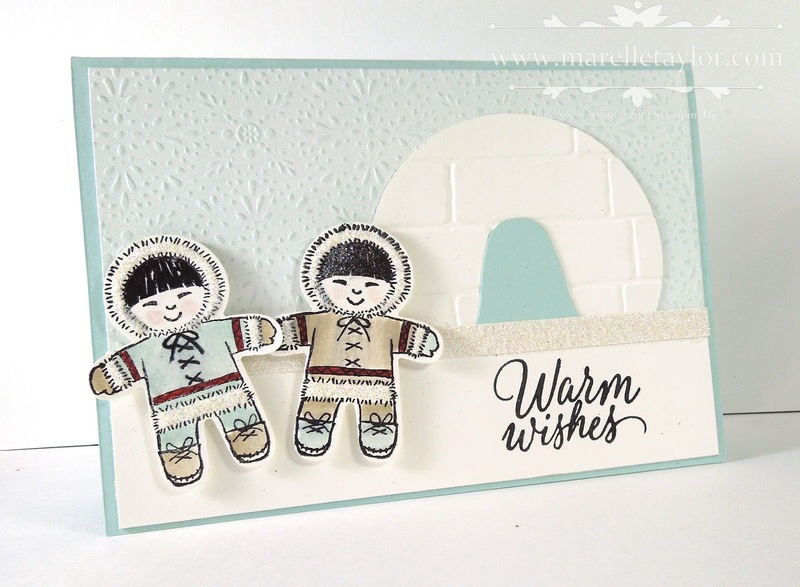 I had lots of fun making this card...How cute are these Eskimo kiddoes? I even gave them an igloo to snuggle up in. I used a marker to ink up just the "warm wishes" part of my sentiment, omitting "and mistletoe kisses", so that this card can be used for any occasion. The background is Fancy Frost DSP. I've just run my sponge brayer over it, in soft sky ink to accentuate the raised pattern.